Compact and powerful, the brand new SkyRC B6 nano charger is ideal for both home and field usage, and it may be connected to your mobile device for even more convenient control. The innovative Bluetooth Smart technology makes controlling your charger a breeze with your smartphones. The App can be downloaded from App Store and Goole Play! 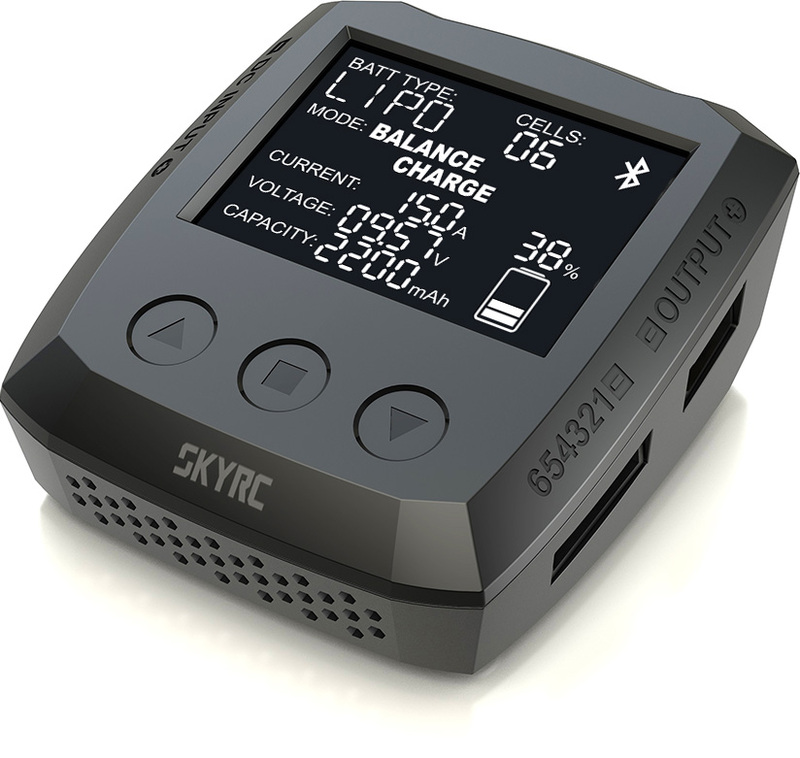 You can use our SkyCharger app to manage your B6 nano from your mobile device. To take advantage of B6 nano’s full power capability, the power source should be 9-32V DC, and output power should be capable of 380W or higher. Low quality DC power source may damage your B6 nano charger. We recommend you to choose SKYRC 380W Power Supply.On the field, you can even use a LiPo 3 to 8S battery to power the B6 nano !